This week's blog is all about our All College Banquet, which happens every spring in April or early May. 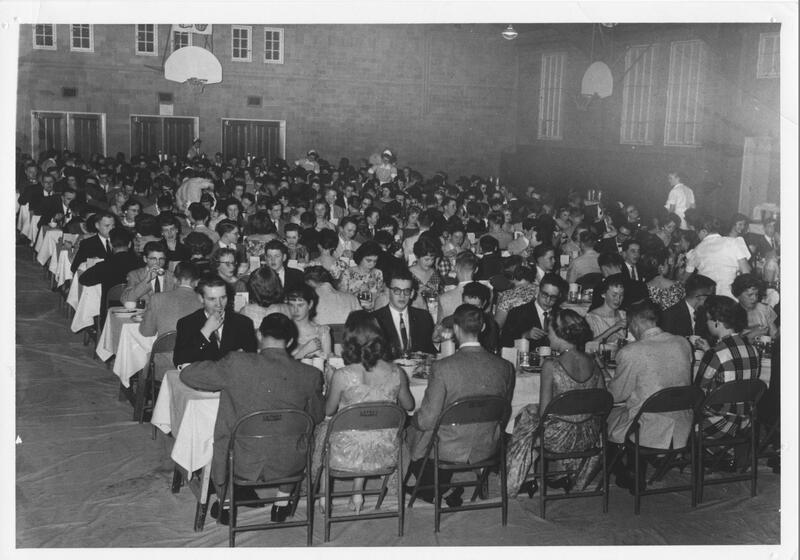 The tradition of the All College Banquet began in the spring of 1954 when teachers and students, dressed in their Sunday best, assembled in the gym to enjoy an evening of great food, toasts, musical entertainment and skits. All College is a semi formal school event with no cost attached for the meal. Students are expected to attend. Although students are asked to dress up for the evening it is not necessary to buy new clothes. A dress or skirt and blouse for the girls and collared shirt and dress pants for boys would be appropriate. Some of the boys already have suits and this would be an occasion to wear them. The host for the evening is our SRC. They plan the evening, choose a theme and then transform the Merlis Belsher Heritage Centre into a magical place. The food is prepared by our food services and is served buffet style. A large group of parent volunteers help serve at the banquet and clean up afterwards. Their enthusiasm helps make the evening a successful and memorable occasion. The evening concludes with some form of entertainment and everyone leaves with wonderful memories of an evening spent celebrating our school community. Why is it called "All College"? Since 1927, a year-end banquet for boys and a separate one for girls, has been held. With the addition of a gymnasium in 1953, the two dinners were combined and held at the school. It was originally called the “Spring Banquet” but in 1958, the dinner was renamed the “All-College Banquet," a tradition that is continued every year. All College is great because it always means that Spring is here! It is a great time to get together as a school and share a wonderful meal together.